Born on 8 March 1995 in Girona, Spain to Senegalese parents, Keita Balde Diao joined the Barcelona youth system in 2004. In 2010, he was loaned to Catalan side Unió Esportiva Cornellà where he scored 47 goals in a single season. In the following summer, Keita opted to leave Spain and accepted an offer from Lazio. With the Biancocelesti’s Primavera side, the Senegalese player showed all of his extraordinary potential, playing a key role as the side won both a youth Scudetto and Coppa Italia (2012-13 and 2013-14). Such performances caught the attention of the then-First Team Coach Vladimir Petkovic and on 15 September 2013, he made his professional debut against ChievoVerona at the Stadio Olimpico. Two months later, on 10 November he scored his first senior goal in a 1-1 draw at Parma. He became a regular member of the Lazio side, also making his debut in the Europa League and taking part in the preliminary rounds of the Champions League in the 2015-16 season. 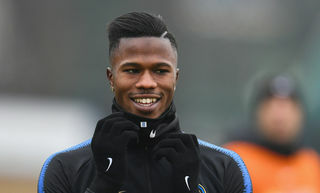 Keita truly established himself as one of the most interesting talents in all of Serie A during the 2016-17 season when he scored 16 goals from 31 appearances. The Senegalese's exponential development didn’t go unnoticed by different teams in Italy and in Europe. In the summer of 2017, Keita moved to Monaco after making 137 appearances for Lazio and scoring 31 goals. For the Monegasque side, he played 33 times last season, scoring eight as they finished second in Ligue 1. 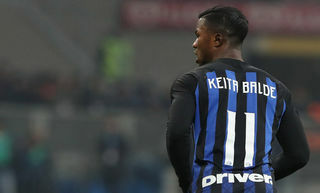 In the summer of 2018, he moved to Luciano Spalletti’s Inter on loan with an option to make the move permanent. For Senegal, he made his debut on 26 March 2016. He currently has 20 international caps and three goals to his name and he played for Senegal at the 2017 Africa Cup of Nations and the recent 2018 World Cup in Russia. 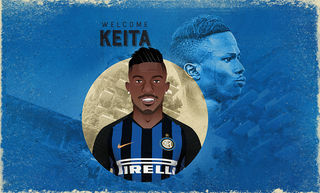 Keita Balde is an Inter player!